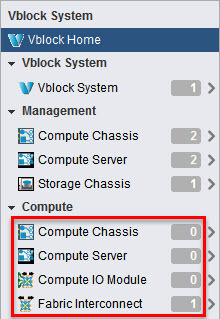 VCE Vision software retrieves credentials from a configuration file to connect to the Vblock System components. In this way, VCE Vision software can access the components for discovery and health polling. Validating XmlApi connection failed for componentTag=VMABO-UCS-1 userName=admin, address=https://192.168.36.30/nuova. Validation Failed due to incorrect configuration. The validation script confirms the UCS Manager password may not be configured correctly. Keep pressing ‘0’ until you get to the component you need to amend. ************* <--- type new password. When you reach the end (the end of vblock.xml file that is! ), the script will go and validate all components again. Run startFMagent to start System Library services. PS In the previous versions of VCE Vision (prior to 2.6.2) you could also use the sedit to edit secured xml files but it has been removed.